The Safe Food, Fair Food (SFFF) for Cambodia project team and partners have reviewed ongoing project activities and set targets for 2019 and beyond. 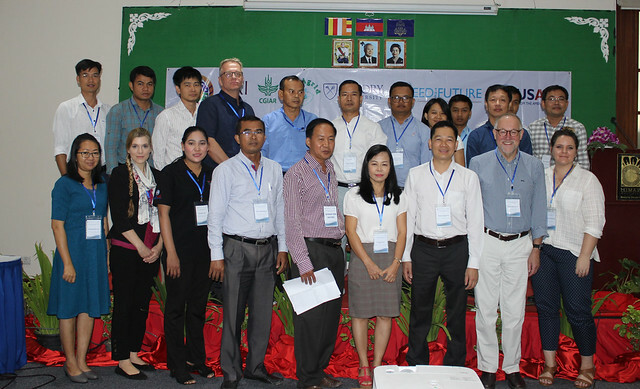 The SFFF for Cambodia team and partners, including the National Animal Health and Production Research Institute (NAHPRI) and the International Livestock Research Institute (ILRI), met on 5 September 2018 in Phnom Penh to review the successes and challenges of the project’s efforts in addressing food safety concerns in animal-source foods in the country. Sophary Siek, deputy director of NAHPRI, said lessons from the project’s ongoing implementation will be incorporated in future project activities to ensure effective delivery of outputs and outcomes. Photo of the workshop participants (photo credit: ILRI/Chi Nguyen). Started in 2017, the SFFF for Cambodia project is generating evidence on the health and economic burden of food-borne diseases in animal-source food value chains important to the poor and women the country. It is also piloting a market-based approach for improving food safety that builds on successfully implemented projects in Africa and India. In a keynote presentation, Arie Havelaar from the Livestock Systems Innovation Lab (LSIL), University of Florida, spoke about the burden of food-borne diseases at the global level. He said World Health Organization data shows that across the world 600 million people fall ill and 420,000 die each year after eating contaminated food. Around 35% of this burden is related to animal-source foods. He added that evidence on food-borne diseases in low- and middle-income countries is still limited and projects such as SFFF for Cambodia play an important role in generating knowledge to guide interventions. 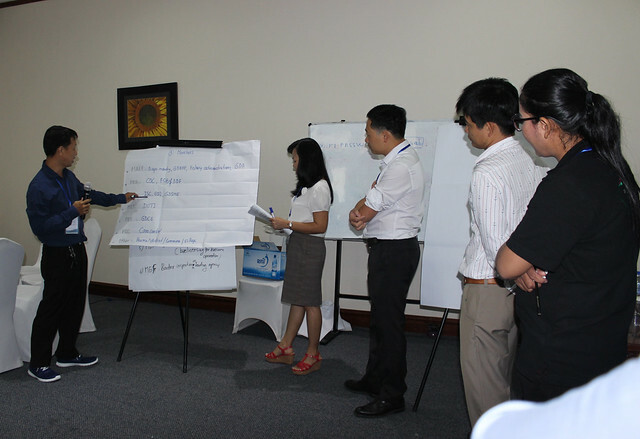 Hung Nguyen, the SFFF project coordinator and ILRI regional representative for Southeast Asia said the project has so far surveyed food safety hazards in Cambodia and carried out nutrition and cost of illness studies. It has also collaborated with local partners and developed their capacity in risk assessment and gender integration in informal animal-source food value chains. ‘The project team has also identified and recruited doctor of veterinary medicine and PhD students who will work with the South East Asia One Health University Network and the Swedish University for Agricultural Sciences to carry out additional research,’ he added. Participants discussed on the best options for a taskforce on food safety in Cambodia (photo credit: ILRI/Chi Nguyen). The 30 participants at the meeting also assessed current research under the project and explored best-bet options for a task force on food safety which was set up at a stakeholder meeting in late 2017. Participants identified key members for the task force and agreed on a general operation framework for the task force which will be finalised and discussed further in year two of the project. The Safe Food, Fair Food for Cambodia project is implemented under the United States Agency for International Development-funded Feed the Future Innovation Lab for Livestock Systems. It is led by ILRI. NAHPRI, the Centre for Livestock and Agriculture Development (CelAgrid) and Emory University are the key partners. Detailed workshop materials and presentations can be provided upon request. Tags: Annual Meeting, LSIL, Safe Food Fair Food Cambodia. Bookmark the permalink.